Read at least 5 books that fit somewhere within the Once Upon a Time II criteria. They might all be fantasy, or folklore, or fairy tales, or mythology…or your five books might be a combination from the four genres. Though the companions are separated into two main groups, each group goes after and finds a dragon orb. The orbs are said to be able to control dragons... if the one using the orb is strong enough. One of the Orbs was discovered to be hidden with Lorac, who is a magic user and leader of the Silvanesti elves. When they find Lorac the Orb has had him in a hellish dream that he believes to be real. In essence.. the orb owns Lorac. The other Orb is found in the icey north country. Under the care of Raistlin, Caramon, Tika and Tanis, they head out to bring it to Sancrist. The third Orb is found by Tas at the High Clerics Tower. During all of this Sturm falls in love, and finally becomes a Knight, Theros Ironfeld learns how to forge a Dragonlance, and a Knight falls. Tanis finds his human love, Laurana becomes a Leader and Raistlin begins to understand the Orb. Well, I can safely say I'm not sorry I am rereading this series of books! They move right along! In this second book love is found and lost, and another love found. The war with the Queen of Darkness moves along. And just so it doesn't get too dark there's Tasselhoff and the old mage Fizban for smiles along the way. I am reminded each time I pick up one of these books just why they have survived the test of time! Cover Art Make a Difference? While acknowledging that we can’t judge books by their covers, how much does the design of a book affect your reading enjoyment? Hardcover vs. soft cover? Trade paperback vs. mass market paperback? Font? Illustrations? Etc.? I can't begin to tell you how many times I have, at least, picked up a book and checked out what was on the back cover, only because it had a great piece of cover art! So.. yes!.. cover art can make a big difference! 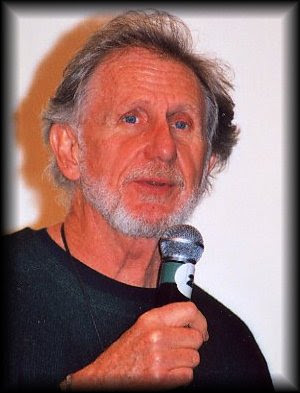 The cover art is the first introduction to the book. It alone, even if the title were not on the cover will give you a good idea of what you will find in the book.. I think Roger Kastel's painting, that became the book cover, pretty much lets you know what sort of book you are looking at! "Jaws" anyone?? heh. When you see a cover like this you will either say, "ohhh, this looks like something I'd like.".. or just the opposite, but either way it tells the first story of the book. It's not a given that I would buy the book just because of it's cover, but without the cover that attracts me to the book I may never have picked the book up at all. A good cover leads to my picking it up and reading the back, hoping to find out that it might read as well as the cover indicates. I also enjoy illustrations in the books. It's rare that they are in a book, but when they are I like it a lot. To me it adds to all the creativity of the story... and overall just makes it that much better. Aside from YA books though, there are really VERY FEW adult books that contain art work along the way, it seems they don't want to spend the extra money it costs... but oh how much nicer it makes a book! As for the fonts.. well.. will eyes that are failing the older I get I can say small fonts are not up there high on the list of things I like. Font's don't have to be LARGE, but even spacing of the sentences can make a big difference. Therefore I do like trade paperback books! Since my eyes are getting worse and since, over MANY years, I have found that my beloved mass paperback books have all turned brown and brittle, I tend now to buy hardback books, hoping they hold up longer and better. Like other people, I'd rather be reading a paperback, just for the weight of having to handle them, but we all do what we must do in order to keep reading! Amazon's description: Lifelong friends, they went their separate ways. Now they are together again, though each holds secrets from the others in his heart. They speak of a world shadowed with rumors of war. They speak of tales of strange monsters, creatures of myth, creatures of legend. They do not speak of their secrets. Not then. Not until a chance encounter with a beautiful, sorrowful woman, who bears a magical crystal staff, draws the companions deeper into the shadows, forever changing their lives and shaping the fate of the world. No one expects them to be heroes. It's been waaaaaay toooooo looooong since I read this series!! I feel like I'm supposed to stand on the sofa and yell: They're Baaaaaaack !! What a group of characters this group of books offers!! The book opens at the Inn of the Last Home in Solace where these wonderful characters meet up after 5 years of separation.. There's Tika, tending bar, a firey young redhead who grew up around the companions..
Tanis half-elf, in conflict with his own being. The elves see him as half human, and the humans see him as half elf. Flint Fireforge, the old dwarf who is beginning to feel his age. Tasslehoff Burrfoot, the kender. Knowing no fear and loyal friend. the twins: Caramon and Raistlin. Caramon, big and brave brother of Raistlin, small and weak of body but becoming a very strong mage. and Sturm of the Solamnic Knights. Wearing his fathers suit of armor, sullen and withdrawn, but a friend to the end. 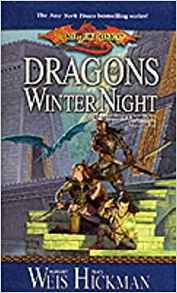 Add in the strangers who quickly become part of the group of leading characters, Goldmoon and Riverwind and you have the companions for the first book from Dragonlance! They aren't long at the Inn of the Last Home when trouble starts and the companions grab Goldmoon and Riverwind and escape, going to hide at Tika's home. When they are discovered they head out to help Goldmoon find out about the blue crystal staff Riverwind had brought to her. Tanis fell silent. The dragon. It call came down to the dragon. The creature loomed large in everyone's thoughts. And how feeble the small group seemed against a monster who had sprung full grown fromKrynn's darkest legends. Why us? Tanis though bitterly. Was there ever a more unlikely group of heroes... bickering, grumbling, arguing... half of us not trusting the other half. "We were Chosen" That thought brought little comfort. 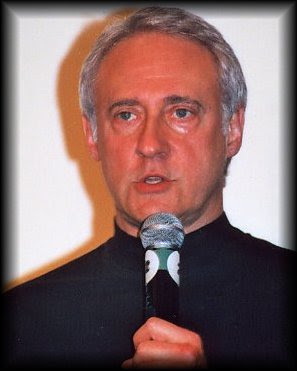 Tanis remembered Raistlin's words: "Who chose us... and why!" The half-elf was beginning to wonder. While searching for the disks of the healing gods they come across gully dwarfs, below ground, that are being used as slaves. After Raistlin enchants them, one named Bupu helps them find the dragons lair. Upon returning to Solace, they find the town has been burned down by dragons and draconians and hobgoblins have taken over what little wasn't burned. The companions are captured and on their way to be given to Verminaard (isn't that a great evil name?! Vermin... aard.. gotta love it haha) for his army, when elves save them. The cruelest form of torture one can inflict on a kender is to lock him up. Of course, it is also widely believed that the cruelest form of torture one can inflict on any other species is to lock them up with a kender. After three days of Tasslehoff's incessant chatter, pranks and practical jokes, the companions would have willingly traded the kender for a peaceful hour of being stretched on the rack... at least that's what Flint said. It's been much, much, much too long since I reread these books!! They are filled with memorable characters that you can't get enough of! Weis and Hickman make use of all of them, so that no one character is left behind. 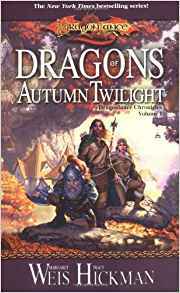 This book is filled with adventure, good and evil (naturally) a new land, Krynn, and loyal friends. It's a win- win situation for a great read! A great little book to read to young kids. I have found Cornelia Funke to be one of the best storytellers for the younger (and not so young) lovers of books. 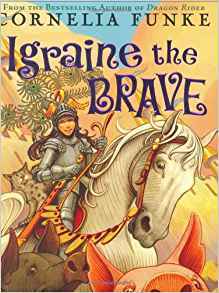 Igraine is a young girl who wants to grow up to be a Knight like her great, great, grandfather was. Her brother, on the other hand wants to learn magic and be a magician like their parents are. At a very inconvient time, while doing some magic, Igraine's parents accidently turn their selves into pigs. Not the best thing to happen, since they need giant hairs to be able to turn them back, and they are out of giant hairs! All of this while someone is about to storm their small castle to get a hold of the singing spell books. Igraine gets a chance to prove herself in her quest to get the giant hairs and help a knight along the way, while helping her parents get back to normal. This would be a book I'd get to read to my young children... if I had any. As for my 12 yr old grandson ... well he is right at the age he may or may not like a "fairytale" type story. So... I've already been enjoying myself reading all the lists people are putting up for what they will be reading for the Once Upon A Time reading challenge! It was late last night when I woke from a sleep.. I sneezed twice. This is probably my comeupance for a weekend away from my room and this house. *sigh, my ears pop when i blow my nose* It has to be my punishment.. I haven't been out of this house except for that in months and months. It's times like this when I wish I was a kid again..
You know.. when someone else took care of YOU rather than the other way around. When someone else did the necessary things so you could rest and try to take care of yourself. ... Ever realize how hard it is to breath thru your mouth while trying to eat or drink something? ... Ever realize how much you really like to sleep.. especially when you can't? I had the flu (I guess).. anyway I was making use of the great white wishing well in the bathroom (wishing I wasn't sick but proving to it I was)... when I saw a movement from the corner of my eye and looked upto see my X standing in the doorway. I barfed again.. then heard his voice.. I've always regretted not answering him. The time has come !!.. Carl's, Once Upon A Time Challenge is about to begin!! This is really as simple as the name implies and is to Once Upon a Time as the experience was to The Sci~Fi Experience. It means you are participating but not committing yourself to any specific number of books. All reading is a journey, perhaps none more so than reading fantastical fiction. By signing up for The Journey you are agreeing to at least read one book within the four categories during March 21st to June 20th period. Just one book. It has always been of utmost importance to me that the challenges that I host be all about experiencing enjoyable literature and sharing it with others. I want you to participate. Hence, The Journey. Read at least one book from each of the four categories. In this quest you will be reading 4 books total: one fantasy, one folklore, one fairy tale, and one mythology. This proved to be one of the more difficult quests last year merely because of the need to classify each read and determine which books fit into which category. I am not a stickler, fear not, but I was fascinated watching how folks worked to find books for each category. Fulfill the requirements for Quest the First or Quest the Second AND top it off with a June reading of Shakespeare’s A Midsummer Night’s Dream. Love the story, love the films, love the idea of that magical night of the year and so this is my chance to promote the reading of this farcical love story. Three is a magical number, a number of portent in fantastical tales, and so three quests seems about right. So,.. it took me all year to finally convince myself that joining did not mean that I HAD to do anything I didn't want to. If I were to say I'd read 5 books but by book 3 I though.. "nah, not for me".. no one was going to come after me to finish it lol... I still am not a "joiner" but there are times when things become a "no brainer" (duh). Like for instance, I am going to be reading Fantasy books anyway so I'm not saying I'll do anything I wouldn't be doing anyway.. heh. This challenge is my "no brainer".. I could no more pass this challenge up than I could forget to go to sleep at night ! So... you bet your bootie I am joining Carl's Fantasy Challenge!! I'm not sure just how many of the different challenges I will do but so far I can commit to (as I call it) the OBVIOUS. I'll begin with The Journey, for this I had already picked up a Cornelia Funke book called Igraine the Brave. I started it last night but didn't get far (dancing with the stars came on) so I will let it sit on the shelf again until Friday March 21st so that I can use it for the first challenge, the category being "Fairy Tale"..
After that I plan a reread.. I don't think Carl would say that a reread wouldn't count, especially when I can say it's been at least 15 yrs (if not more) since I read these books. Sometime last year I replaced my paperback versions (which are turning tan from age) with new Hardbacks that were released by Wizards of the Coast. I call them "new" because, although the original books, in paperback, came out in 1984 the hardbacks began coming out in 2003. 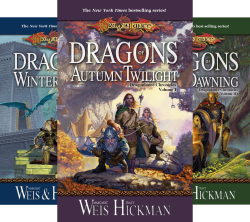 So.. for Quest the First I will reread the first 6 Dragonlance books by Margaret Weis and Tracy Hickman. The cover art was done by Matt Stawicki, and is absolutely fabulous! So we are off and running with this great ONCE UPON A TIME challenge, beginning March 21st and ending June 20th.. lots and lots of time to read lots and lots of fabulous books!! 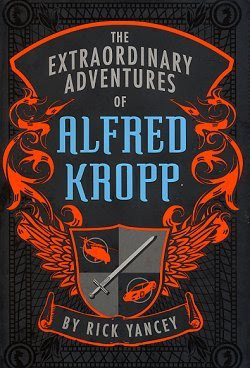 The Extraordinary Adventures of Alfred Kropp by Rick Yancey. What a surprisingly delightful little book ! This book has a remainder spot on it so I think I got it from book closeouts at a ridiculously cheap price. I'm sure I figured that even if it's not a really good book it's got to be worth the few bucks it cost. The star of this book is a 15 yr old, oversized, and overly large headed boy named Alfred Kropp. In his mind he's nothing more than a total screw up. Anything he touches goes wrong, and it seems everyone he cares about dies. It's going to take a lot to make him believe he has any value at all. Even an extraordinary adventure, one no kid could ever imagine could happen, let alone does happen, really changes him very much. I can relate to this kid. It's called "thick headed", but then again, when you truly believe in something, it takes an awful lot to make you change your mind. I had this book sitting here for some time now. 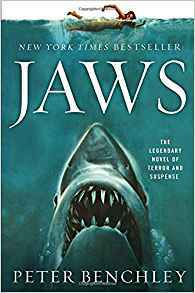 I had even forgotten what it was supposed to be about, but after reading a few Biographies (as such) I needed a change, but at the same time I was just killing time until Carl begins his Fantasy Challenge, so I grabbed this book and began to read. Even at 375 pages it's a very fast read (being double spaced helps). All the words in the book are fairly simplistic, yet the way it's written it doesn't really seem that it's trying to be simple for the young folks that might read it. There was a story to be told here and Mr Yancey told it in no uncertain terms. Basically he told the story and.. well.. you got it. (duh) How would you like to find out that a sword you tried to "steal" with your uncle turned out to be Excalibur?? And that if the "bad guys" get a hold of it.. it could mean the end of the world ! Hello? Well.. the book is called "the Extraordinary Adventures" !! Now I don't know if I was ready for something like this or what it was, but I have to say that simple and basic did the trick.. I enjoyed this book! I think it's for a time you feel like a rest.. something you don't have to think hard on to follow, but is enjoyable.. well, then you might also enjoy this book. I was tagged by Stephanie to do a 6 word memoir. I do adore the reluctant hero.. so Indiana Jones has a place as a male lead character fersure! There's just something about reluctant hero's, what can I say? Both books and movies. Gosh there are soooo many great leads! Masterharper Robinton (Anne McCaffrey), Belgarath the Sorcerer (David Eddings), Gandalf! (Tolkien), and I'm sure I'll come up with many more the moment I post this! Ok that's it for this post. 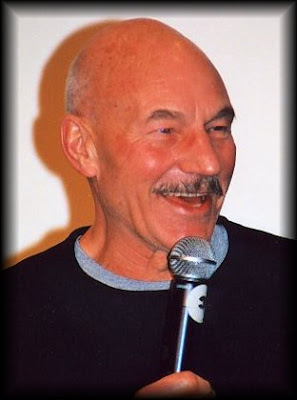 Now I am off to the Trek convention. 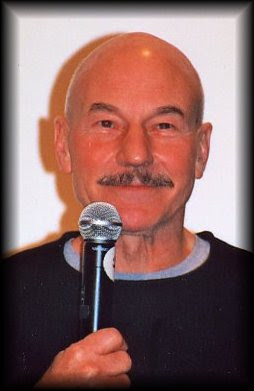 I know most are thinking: Ewww Trekkie... and once upon a time that's pretty much what a convention meant to me.. but not anymore. a room all to myself. A bathroom I don't have to share. I can eat what I want, when I want. funny.. it didn't used to mean those things! 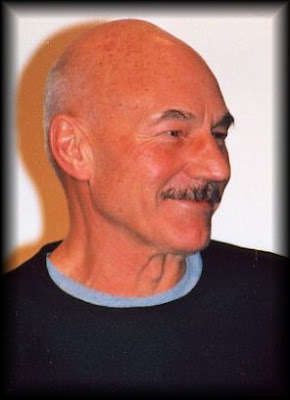 Patrick Stewart and Brent Spiner and others are just icing on the cake. While relating his event-filled life, the immortal sorcerer Belgarath weaves a compelling tale of two opposing Necessities that spans 7000 years and bears witness to the rise and fall of human hopes and destinies. In other words: Belgarath tells the story of his life, from the time he's a youth right up until Belgarion is born and becomes the Child of Light... which spans several thousand years. It's quite amazing how Eddings manages to cover several thousand years in just 711 pages, and he does it so smoothly that you don't realize it's happening. Still, he does cover all the "before" things that had to happen to bring about the story of the Belgaraid. You also get more feeling about Belgarath when he covers the part where he meets his future wife Poledra, their life together until they marry and the birth of Belgarath's twin daughters. I think I like Belgarath's God, Aldur ..because Belgarath sure stays in great physical condition for such an old man!!.. I wouldn't mind having some of that! 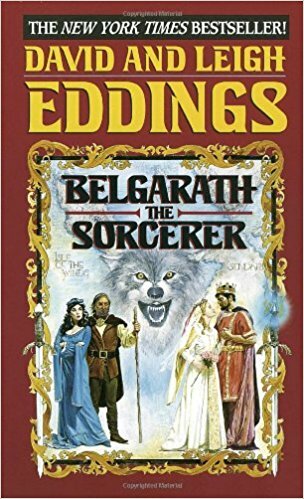 Belgarath the Sorcerer and Polgara the Sorceress were follow up books put out by Eddings to fill in all the lost spaces and questions that might arise about how, when, where, who etc.. that lead up to the Belgaraid series. And I have to say, he did this in fine style! Although this is a stand alone book, you would by no means understand most of it if you didn't read the series first. For my next read I am going to take a little break from the series' I've been rereading and will read "Just One More Thing" by Peter Falk... about.. Peter Falk. And yeah, I like Peter Falk so this should be a good read!